What did you do from March 31st to April 3rd 2016? 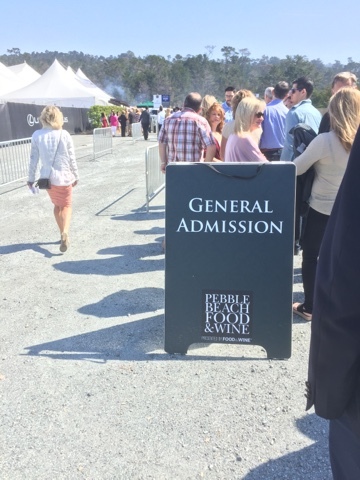 Well if you were one of the lucky ones you were at the 9th Annual Pebble Beach Food and Wine event. 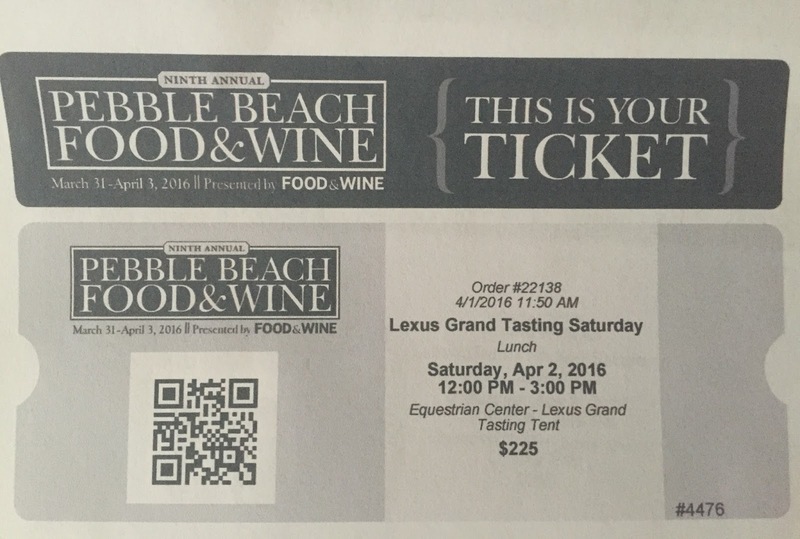 This wonderful and successful wine and food event is possibly one of the words best. 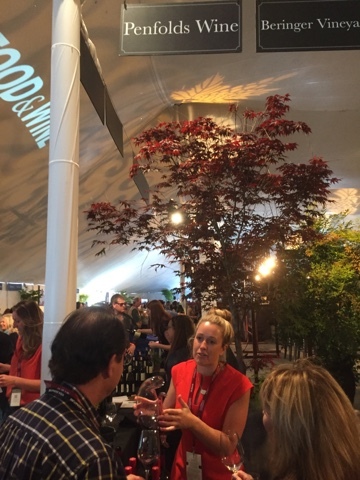 A place to mix and mingle with the best chiefs and wine makers in the world. A place to taste food and wine that is of truly uncommon quality. 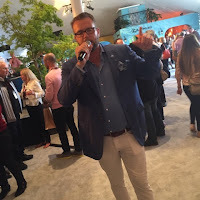 Throughout these few days you can revel in access to the best of culinary and wine rock stars at wine tastings, cooking demos, and some very exclusive and unique dining opportunities. The Pebble Beach Food & Wine is an annual event sponsored by Food & Wine Magazine and according to those who count stuff, attracted an estimated 8,500 attendees. According to the event organizers, that was the highest number of eaters and drinkers in the event's history. This year we attended the Saturday Lexus Grand Tasting. While some have told us its too expensive for three hours of tasting and nibbles, there is a couple things to remember. There are some truly world class wines that most normal people would never afford themselves a bottle or could even realistically gain access to them. 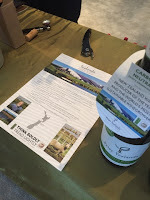 Ultra premium wines from Europe, Australia and New Zealand as well as North and South America. This is also in addition to some of the worlds best chefs serving some exceptional nibbles (small bites). As a bonus there is also spirits and Beer. Entering the event is a snap, the easiest event we ever attend. How is that you ask. The answer is drive a Lexus. The Lexus rewards of ownership program gets you a 15% discount and a drive up to the front door with free valet parking opportunity. Also pull your Visa Signature Card out to get into the slightly early entry line (one card per couple please not your entire group). 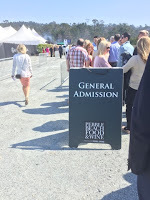 The Grand Tasting can be an intimidating experience for the uninitiated. 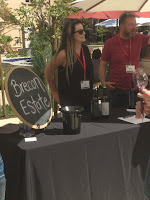 There are so many wines to taste and so many food options that picking a starting point and wanting not to miss anything is a stressful feeling. But we had a plan. This event was to be mostly about the Aussie wines. First stop inside the door (which took too long, 10 minutes after the start time due to line delays) it was straight to the Penfolds station. Starting with a Bin 389, 707, RWT and a lovely sip of the 2010 Grange. Short of a trip to Australia this is a great start to any wine tasting. Found some New Zealand friends as well with Craggy Range and Peter Yealands (mmmm). On the way to the wine Australia table we stopped to visit one of our Aussie wine favorites, Mollydooker and producer of Wine Spectator's #2 wine in the world. Watched a demonstration of the Mollydooker shake and enjoyed some amazing wine. 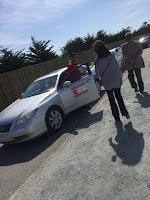 Moving along it was a stop to say g'day and have a sip or two with some California fav's with Pisoni Vineyards Gary and Mark Pisoni. We must say that having the owner, founder and son pouring is a class move. Cheers Gary and Mark. 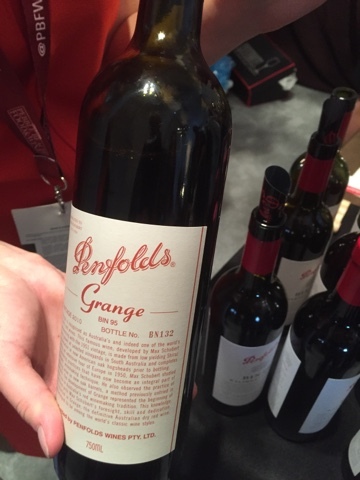 Gary even had a good story about buying cheap Grange at a restaurant in Fiji many years ago. The Pisoni wines from the SLH region in Monterey County are world class. Thanks for the great wine and good laughs guys. 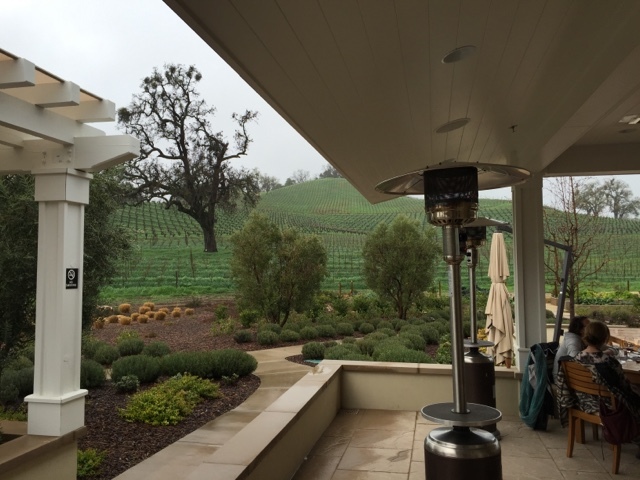 Next was a stop at Daou Vineyards. 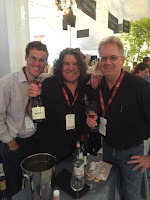 These guys are leading the charge for Paso Robles Cabernet to be the best in the world and are doing an excellent job. Go taste them and see for yourself. We do! We never miss an opportunity to taste / drink some Tablas Creek wine. Consistently world class Rhone wines. 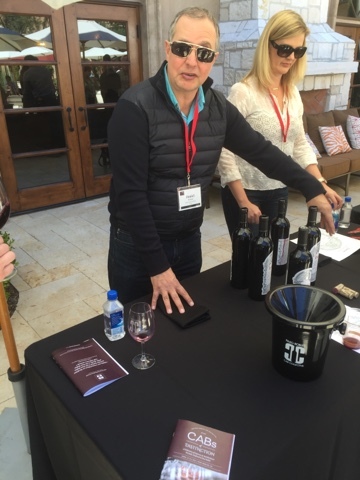 Tablas Creek Vineyard is the result of a decades-long friendship between the Perrin family of Château de Beaucastel and Robert Haas, longtime importer and founder of Vineyard Brands. A shared vision that creates such beautiful wine and these were no exception. 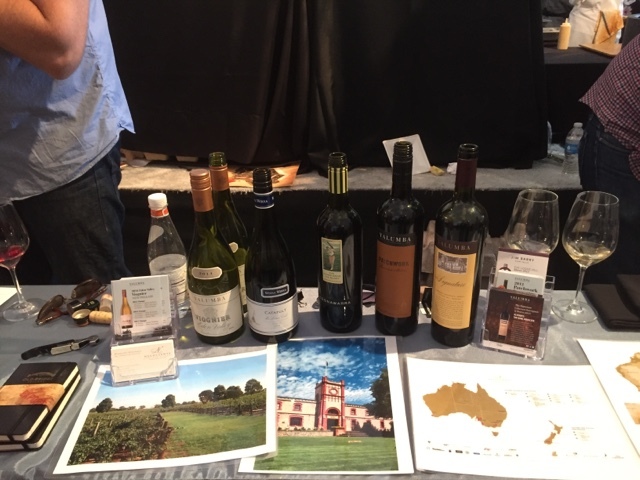 We made it to the Wine Australia tables and were well rewarded with a series of lovely wines from a variety of producers. 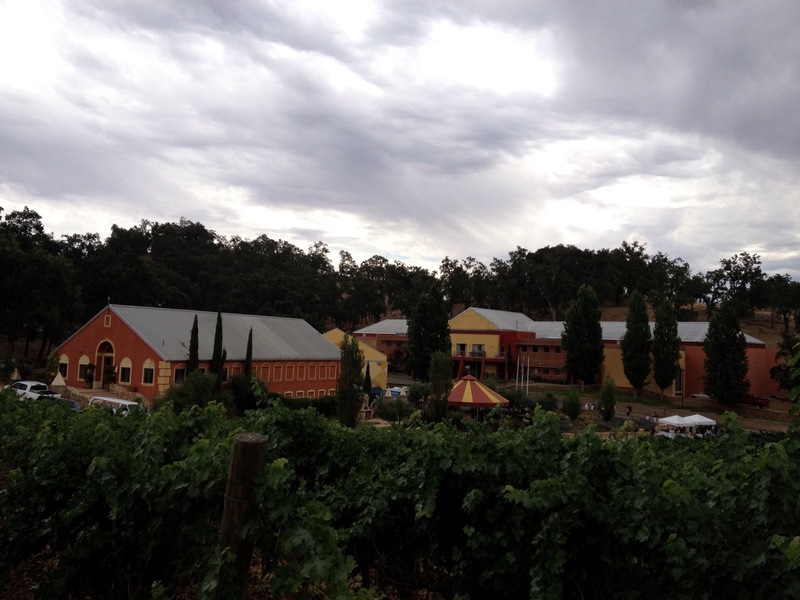 With favorites from Yalumba, Jim Barry, Balnaves, d'Arenberg and Wirra Wirra to name a few. David saying thanks and until next year. Spent some time going through the offerings. There were a few to get through but we are professionals. While we may be a little biased the Aussie wines were hitting the spot and generally are great value. 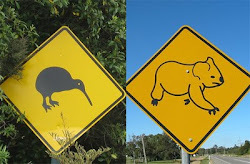 Just stay away from the critter wines that come from there that you see at the grocery store. 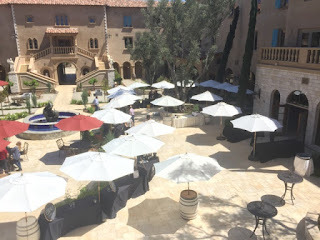 The food, the wine and the experience, are worth the price of admission as this is a wonderland for foodies and wine lovers alike. Coming up in part two will tell of our food experience. 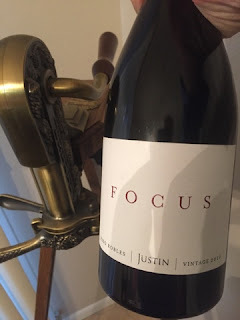 Justin Vineyards 2010 Focus is not what most people expect from Justin Vineyards. While most associate them with good to great Bordeaux wines this Rhone will make you Focus. Okay pun aside, this is an amazing wine. With only a few hundred cases this is a very limited release for Justin Vineyards. In 1981 Justin Baldwin purchased 160 acres in Paso Robles, with the aim of crafting wines that belong in the company of the finest in the world. 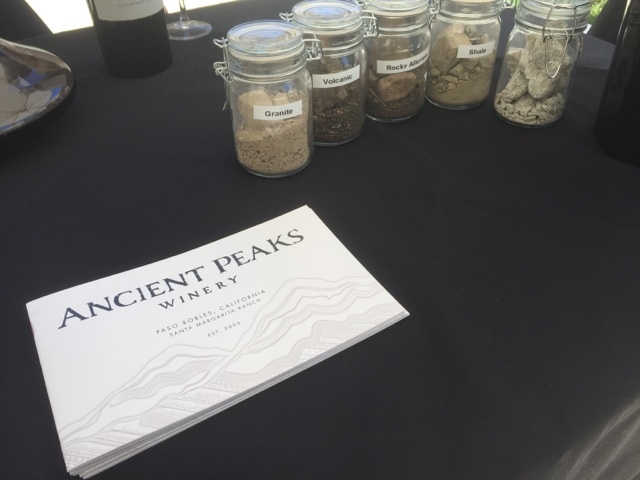 Rich in limestone, the soil of Paso Robles produces grapes with intense flavor and great structure, making it what Justin Baldwin believed to be a perfect location for his quest to produce the finest Bordeaux-style reds, he planted three of the five classic Bordeaux grape varietals: cabernet sauvignon, merlot, and cabernet franc. 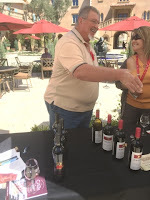 Back then there were only about ten wineries in the Paso Robles appellation. The first estate grapes were harvested in 1987 and were made into a blend of the three varieties and was called the Justin Reserve. This was what would soon become the franchise icon ISOSCELES. But now there is a new kid on the block. FOCUS. This Rhone blend uses the same general winemaking philosophy as its Bordeaux brother. This is a sultry seductress of a wine that just like a beautiful curvaceous Hollywood movie star from the golden years once experienced one will never be able to forget. Blended mostly from Syrah, with 5% Mourvèdre and 3% Grenache, it's rich, ripe, round and velvety smooth. 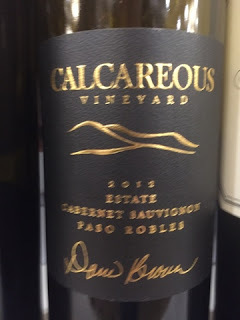 The wine has a warm climate ripeness with blueberry and blackberry in the chocolate-covered raisin flavor, which gives it a wonderful warm mouth feel and long soft tannin finish. 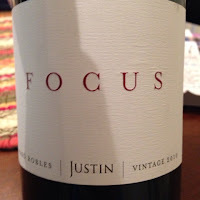 A voluptuous wine Justin Vineyards that we rate an 8 and ** on our scale. Paso Robles Cabs of Distinction 2016 The 'Judgement of Paso'. Paso Robles has been a top wine destination for a number of years now. The region has grown into arguably one the best overall wine weekend / holiday destinations in America with world class wine, a good number of great restaurants and some fantastic places to stay. The world-class quality of its signature Cabernet Sauvignon and red Bordeaux varietals are why Wine Enthusiast Magazine named Paso Robles Wine Region of the Year in 2013. This visit was the 4th annual Cabs of Distinction event that we have attended. It also happens to be the 4th annual event. 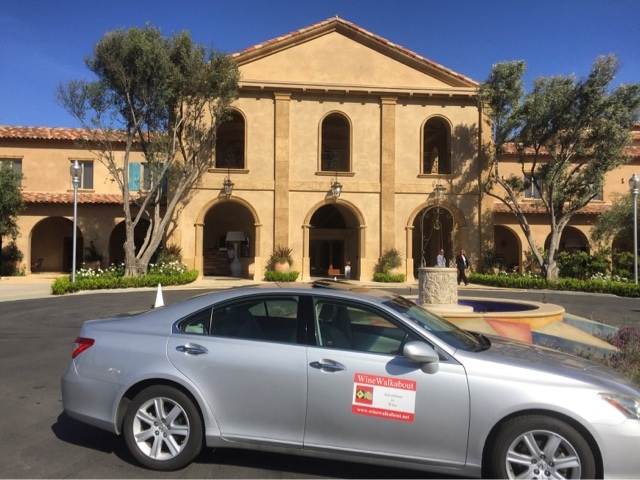 #CABs2016 was the hashtag and we used it a bunch to share some of the numerous high lights of this great couple days in Paso Robles. 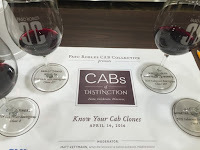 Formed in 2012, the Paso Robles CAB (Cabernet and Bordeaux) Collective (PRCC) strives to promote the full potential of the Paso Robles AVA in producing superior-quality, classic and age-worthy Cabernet and red Bordeaux varietals to consumers, trade and media worldwide. Heading down to Paso on Wednesday morning there was one session on my mind. The Judgement of Paso. 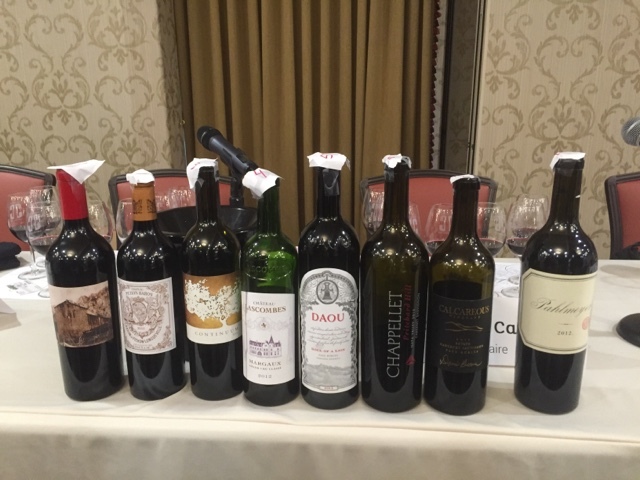 There were to be eight Bordeaux wines made up of French, Napa and Paso Robles wines and six sommeliers tasting and guessing just like the rest of us. This was a chance to compare the best of the best and compare my palate against some top somms. This was going to be awesome! But I'm getting ahead of myself. 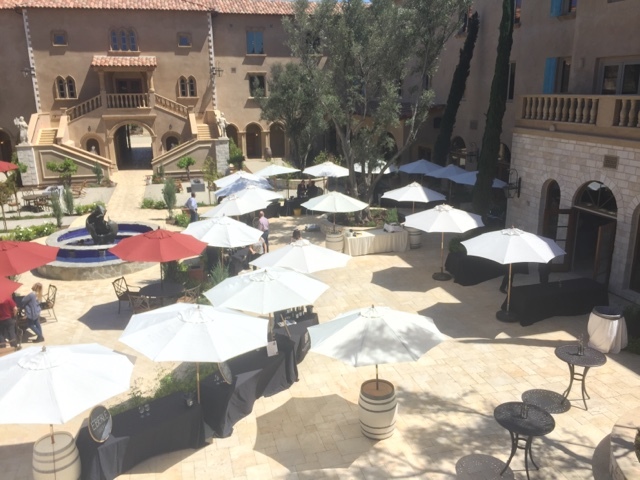 This year the event was to be held at the relatively new very swank and stylin Allegretto Vineyard Resort. Having been open less than a year they are still adding statues and other beautiful decorations throughout the facility. Check-in was a snap and I was soon into my beautiful suite with a lovely large balcony overlooking the beautiful 12,000sqft piazza where they were setting up for the walk around tasting. A quick unpack and down to the where the wine was and collected my mane badge and of course a glass. Next up was 'The Other Cabernet: In-depth exploration of the deliciously complex glories of Paso’s next big Bordeaux-style wine: Cabernet Franc'. The session was moderated by the winemakers and some great insights were given as we tasted through the lovely wines. 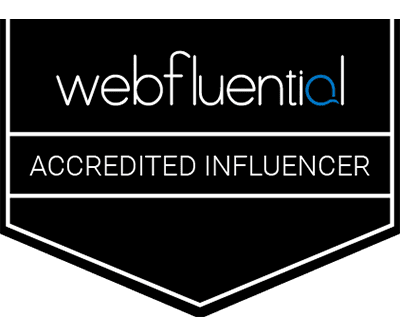 Cabernet Franc, a grape with softer tannins, floral notes and a much more feminine quality compared to the intense, bold and dramatic Cabernet Sauvignon. It’s commonly used as a blending grape and is often called the supporting actor. That evening the group had a wonderful dinner at the fantastic new Adelaida Winery tasting room and facilities. It was a great way to end the day. The food was amazing and was prepared by prepared by Crush Catering and of course the wine was spot on. 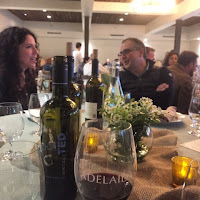 I had the pleasure of sharing a table with Daniel Daou and we discussed the impressive wines of Paso Robles and in particular the positive effect of the CAB Collective. Thursday morning it was off to learn about Cab clones at 'Know Your Cab Clones'. Winemakers and vineyard managers choose clones for many different reasons, from their resistance to certain local crop diseases, to their sugar concentrations, yields and flavor profiles. This along with farming techniques, site selection and the art of wine making date back hundreds of years. As a result, most of the wines you enjoy boast clone lineages that date back several centuries. The key clones in Paso include Clone 8, Clone 169, Clone 7 and Clone 337, among many others, and carry equally rich histories, and unique flavor characteristics. The last event of #CABs2016 was held in the Allegretto’s lovely and perfectly sized Veneto Ballroom. 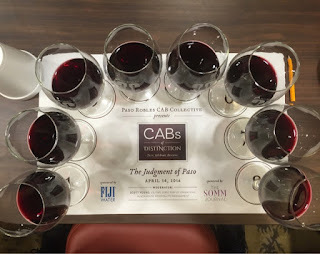 Here six somm's and wine experts put their skills to the test with eight wines and under the intense scrutiny of a room full of other somm's, industry professionals and wine experts and, well, me. Although it wasn’t really a judgment as there was no judging or rating by the team of sommeliers on the panel, it was more of a guessing session. 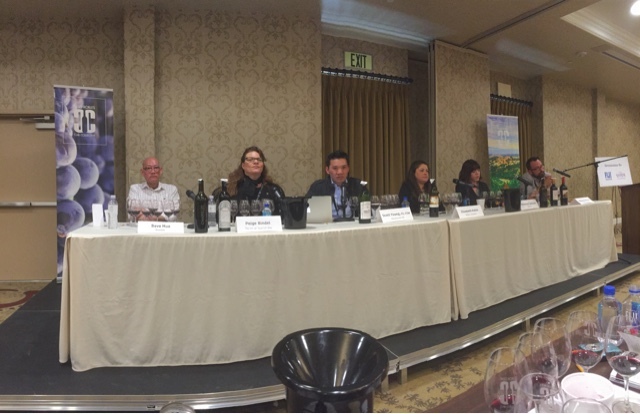 I found it interesting how little familiarity most of the panel had with Paso Robles wine in general other than their last couple days of tasting. Perhaps something that the Somm Guild needs to correct in their education process. The six sommeliers blind tasted the eight wines with the rest of us. 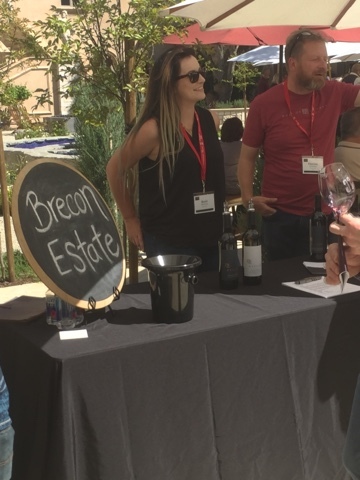 They discussed and debated and engaged the crowd as they spoke on the qualities and personalities of the wines all the while attempting to determine the origin of each. 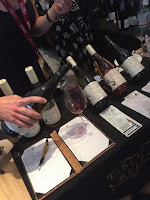 Surprisingly few correct guesses were made, as many pros declared several Paso wines to be from Napa and vice versa. 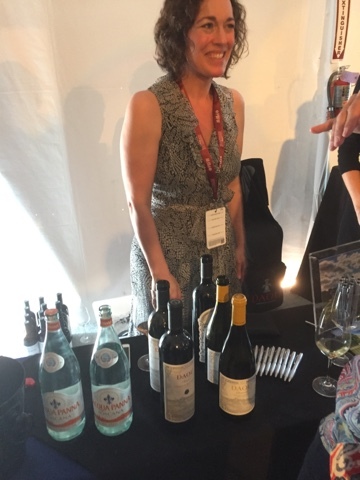 Back to the need for more Paso exposure for upcoming somms. All of them stated how pleasantly surprised they were after tasting Paso. 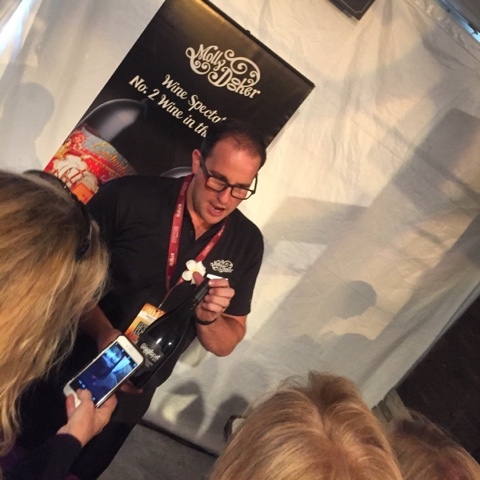 “Well, I literally got almost all of them wrong,” said Scott Young CS, CSW, director of operations of Blackhouse Hospitality Management who was the moderator of the tasting. He commented “I’m officially one of the converted.” All the other panelists I talked with echoed his statement. I'm proud to say I was able to accurately identify or at least guess 6 of the 8 wines. Wine of the event in my uneducated opinion. 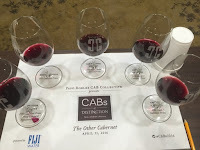 The wines for the Judgement were, from the Paso CAB Collective the 2012 Calcareous Vineyard Signature Cabernet Sauvignon, 2012 The Farm Winery LPF and the 2013 DAOU Vineyards Soul of A Lion. The Bordeaux wines were the 2012 Pichon Longueville Baron and the 2012 Chateau Lascombes. 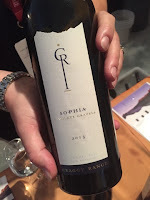 The Napa Valley wines were from 2012 Chappellet Cabernet Pritchard Hill, the 2012 Pahlmeyer Proprietary Red Wine and the 2012 Continuum Proprietary Red. Thanks to Kyndal Kennedy of Parker Sanpei and the Paso Robles Cab Collective I had a fantastic couple days of great wine at an event that was well organized, in a beautiful resort, with weather specially ordered in to make for the perfect way to show all who attended that Paso Robles is a world-class cabernet sauvignon region easily comparable to Napa Valley and Bordeaux?